Christmas markets are always a great places to enjoy the spirit of the season. Many arts and crafts markets in South Africa can be explored during the festive season. Christmas is celebrated by the majority of the people living in South Africa and during the this season, visiting markets and buying local gifts and thus supporting artisans and crafters of the community is growing in popularity all over the country. And as Christmas is in summer, many of the markets are set in stunning surroundings. The markets we mention below offer a wide range of products from skilfully designed arts and crafts to tantalising culinary treats. Some markets are day markets, while others offer special evening opening hours and 'moonlight experiences' and some even attract visitor with additional Christmas carol concerts. The markets below are listed per province for easy referral. Please go to the various markets' websites to find out more about their location, dates and contacts. Port Elizabeth: Christmas Market. 29 November - 2 December 2018. More info. Gift and craft market at the Boardwalk Hotel. With trendy decor, gourmet foods and exquisitely handcrafted gifts. More info. Grahamstown: Christmas Tree Festival. 17 November - 1 December 2018 and Christmas Market 28 November - 1 December 2018. lenty of goodies to fill your christmas stockings. Arts and Crafts, local delicatessen, unique mostly hand-made products, great activities and so much more. More info. Graaff-Reinet: Christmas Market. 24 November 2018. More info. Bloemfontein: Christmas Night Market. 1 December 2018. With locally produced arts and crafts. Bookmark also the Boeremark at Langhovenpark. More info. Kroonstad: Kroonheuwel Christmas Market. 4 - 8 December 2018. More info. Paulshof: German Christmas Market at the German Country Club. 17 November 2018 From 10h00 until 16h00. With German Christmas crafts, biscuits, stollen, hand-made toys and so much more. More info. Irene: Irene Market at Smuts House Museum, Irene. More than 250 stalls with crafts, antiquities, food and flowers. A regular Saturdays market, that is great for buying Christmas gifts in November and December too. More info and dates here. Centurion: Centurion Christmas Market. 29 November - 15 December 2018 at Centurion Art Gallery. More info. Irene: Kamers vol Geskenke. 4 - 19 December 2018. 'Treasure trove of handcrafted creativity' at the Open Windows School in Southdowns. More info. Durban: I Heart Market. 2, 9, 16 December 2018 at Moses Mabhida Stadium on the Imbizo Lawns from 9h00 to 14h00. Support local designers and artisans, with food stalls. See their Facebook page: Iheartmarket or click here for more info. Haenertsburg: Christmas Fair: 30 November - 1 December 2018. With yummy food and arts and crafts stalls and goodies to make your perfect gift. More info. White River: Uplands Xmas Market. 3 - 4 November 2018 at the Barnyard at Casterbridge. With food stalls, craft stalls, tea garden and live entertainment. Emalahleni: Witbank Christmas Market. 8 - 9 December 2018. More info. Kimberley: Kuier Kuier Kersmark. 27 November - 1 December 2018 in Bridge Street. With handmade gifts and cookies, bake sale and crafts tables. More info. Parys: Hartelus Christmas Market. 2 December 2018. More info. Cape Town: Christmas Lightshows at the V&A Waterfront. Enjoy the festive atmosphere and visit the Watershed where more than 150 stalls offer African arts and crafts and offer locally-made products and gifts galore. More info. Cape Town: Summer Market at the Company Gardens. TBC. Annual market from mid December 2018. With the many stalls it is easy to find the perfect local Christmas gift for your loved ones. Food stalls and live music in the afternoons and evenings. Edgemead: Christmas Market. 7 - 22 December 2018 at the Community Hall. 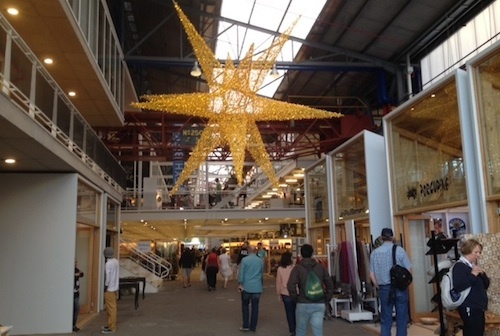 Indoor market with more than 250 of the Western Cape's finest crafters displaying their wares. Daily from 10h00 until 20h00. More info. Somerset West: Lourensford Christmas Market. 1 - 3 December 2018. More info. Stellenbosch: Kamera vol Geskenke. 30 October - 4 November 2018. More info. Swellendam: Kersmark. 22 - 24 November 2018. More info.